A cover letter template is an overview of your entire resume that you send out to prospective employers. One should remember that when formatting cover letters he or she should be able to present vital information highlighting their passion and interest for the job they are applying for. A simple job application or cover letter should include all the qualifications that you have that will make you fit for the position they’re looking for. You have to exhaust all your needed information to attract employers. It is important that you assess it yourself first before them. You could also do the same if you plan on sending an email cover letter. Skills and experience. Make sure to include everything that is relevant to the position you are applying for. It need not be too lengthy, it just has to be properly explained whenever there’s a need for it. You may also see formal letter templates. Eagerness for the job. How you structure your cover letter will connect to your reader on how much you want the job. Take these cover letter examples as samples since they contain just the same tips that we’re sharing with you on this page. Application cover letter. This letter serves as an application for job openings and advertisements. Prospecting cover letter. This letter opts to look for jobs from a certain company that includes inquiring for different job positions. Networking cover letter. This letter requests for assistance in job searches of the sender. 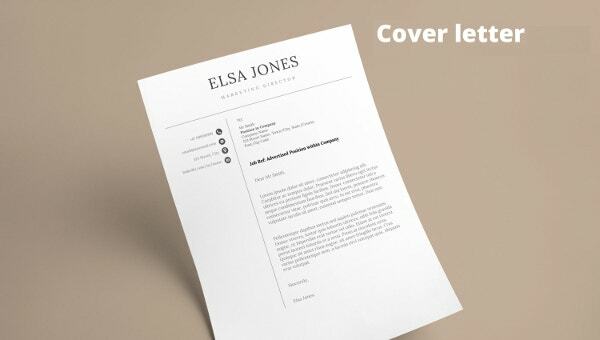 Check out our free cover letter templates and pick which type of cover letter example you could use. Business letter format. You should include all the formal technicalities in writing resume cover letter. This includes a proper header with the correct information of your recipient as well as the proper designation of content in paragraphs. Greetings and salutation. In your cover letter salutation, always be very polite and professional with your letter. A formal greeting or salutation should be observed even at the beginning of your letter. Introduction. Your introduction should establish your intention to apply for a certain job position. Subsequent to your intention should be an inclusion of your skills and experiences relevant to the job you are applying for as well. You may also see letter templates. Body. This is the part in your letter that you mention of your relevant achievements, a brief and concise explanation of your scholastic background perhaps, and all the information that might be needed to help you present yourself well to your prospective employer. You may also see simple letter templates. Closing. In the closing part of your letter, you hope for a positive response and leave your contact details should they possibly have questions and further inquiries about your cover letter sample and resume. This part would also include an Email Signature for those who opt to send email cover letters and application online.